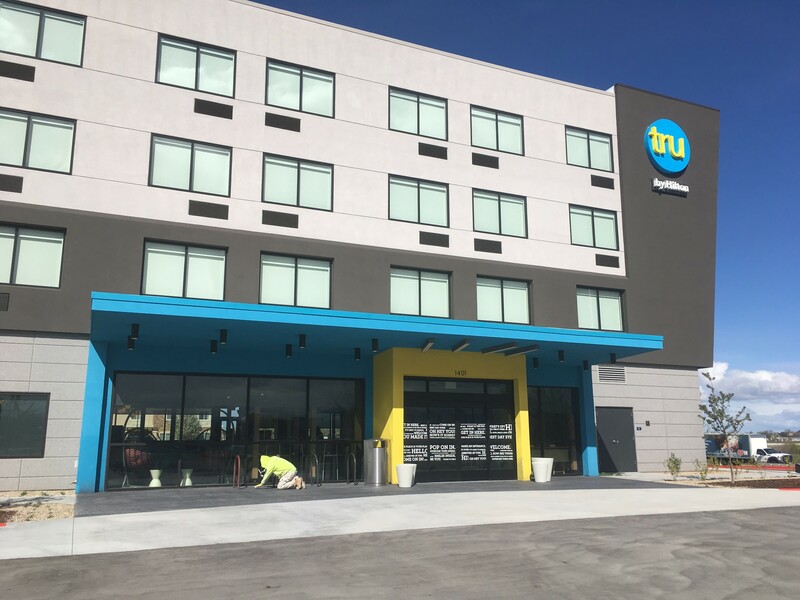 Tru Hotels - National Coatings, Inc.
Tru Hotels are a new hotel experience from Hilton. These hotels are affordable and vibrant, catering to the young at heart. Some of its distinguishing features are a large lobby (over 2,000 square feet, semi-private work space, 24/7 market, and a game room. National Coatings has just finished a Tru Hotel in Meridian, ID and we are currently working on one in East Idaho. 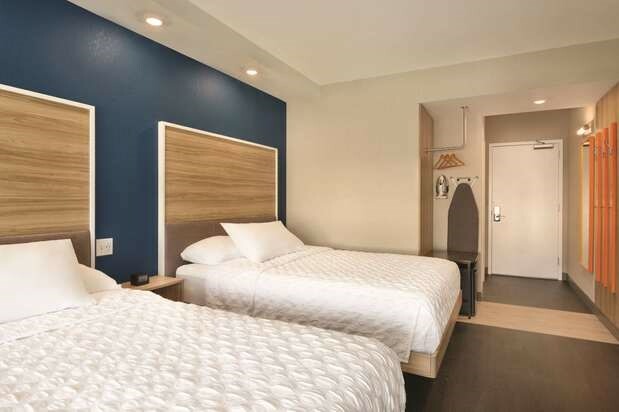 For the hotel in Meridian, our team was responsible for completing all of the interior wall and ceiling finishes. For this project, our crew applied a new product that we had never used before, which was an integrated colored texture paint. With Tru Hotel being a vibrant place, our team had to apply seventeen different wallcoverings and murals.